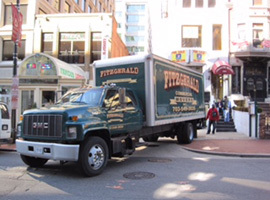 No two moves are exactly alike, and with more than 35 years of industry experience Fitzgerald Commercial Movers provides the knowledge and expertise to plan for and execute any client’s Special Moving needs. Experienced managers and trained handlers ensure proper care is taken throughout the process so that sensitive equipment, materials, records, data and other cargo is transported without incident. From the very personal to the most priceless, your need for Special Moving services are met with thoughtful planning and knowledgeable expertise. Contact Us to discuss your Special Moving needs and learn how Fitzgerald Commercial Movers can put a plan in place to complete your relocation needs on time and on budget. Committed to providing superior customer service, we will exceed your expectations.